Super Unico Cheetah Need Help? Super Unico is a everyday frame that combines fresh contemporary design with timeless features. The lightweight construction features clean lines with semi-squared lenses and angular temple tips. 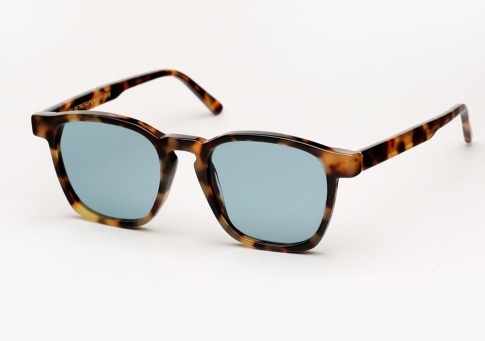 It is offered here in a spotted tortoise acetate paired with light blue tempered glass lenses.